Seattle Metro Chamber's fall Women in Business & Leadership Initiative Symposium. 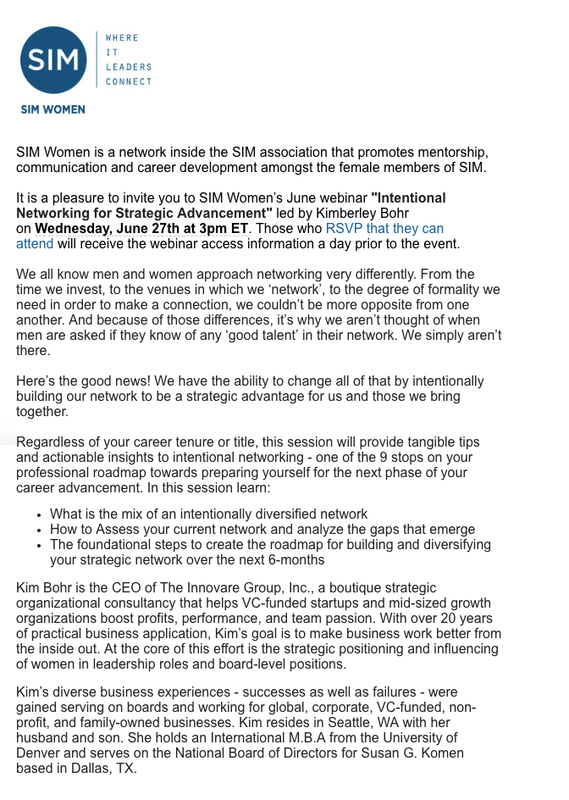 Kim Bohr spoke on the subject of strategic networking. Featured article: Why is Critical Thinking Important? 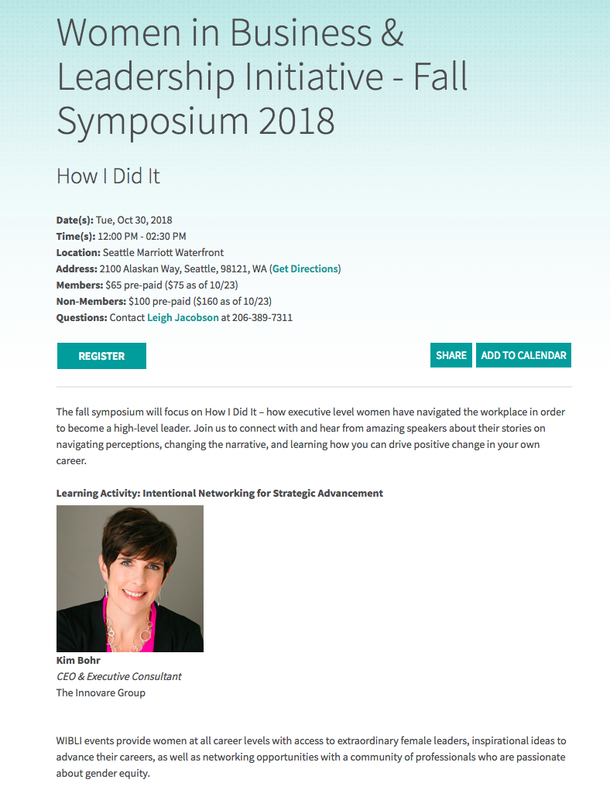 Women in Business & Leadership Initiative - Fall Symposium 2018 Kim Bohr spoke on the subject of strategic networking. 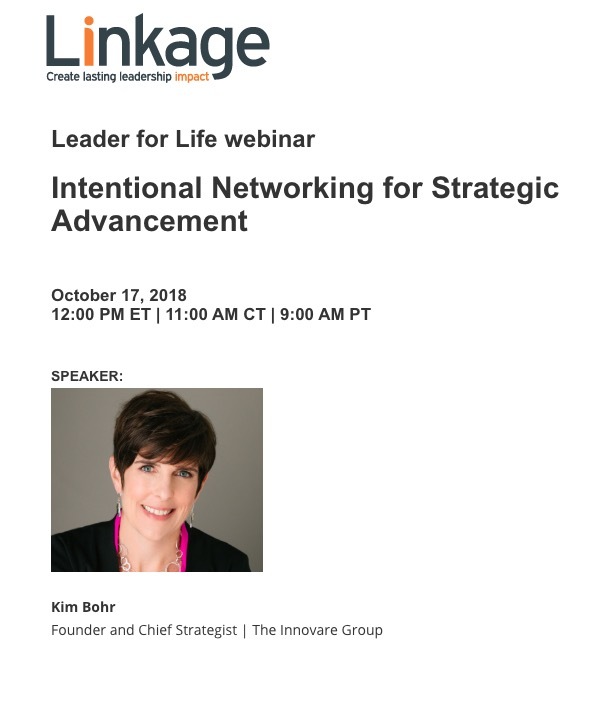 Linkage - Leader for Life Webinar Kim Bohr spoke on the subject of intentional networking for strategic advancement. 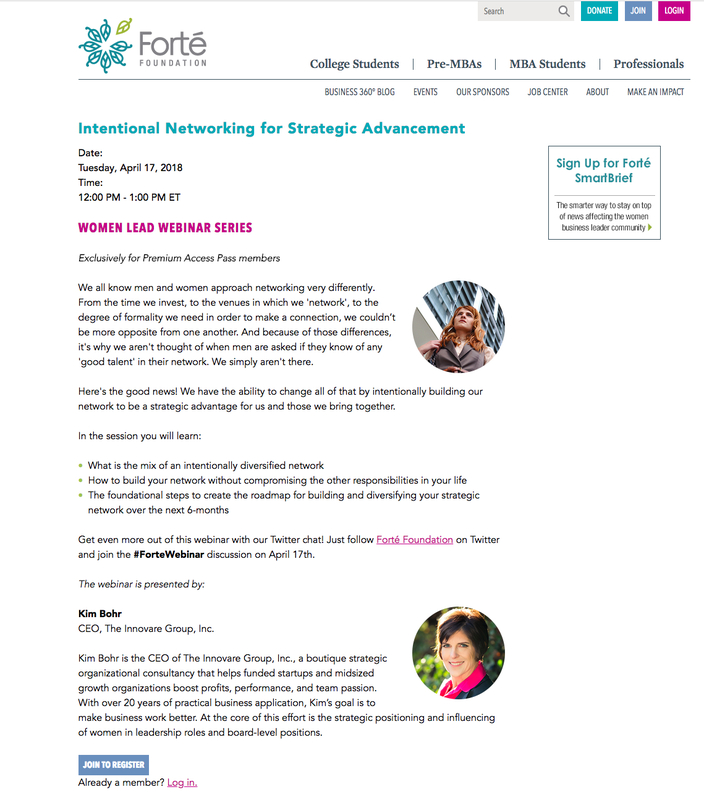 Forte Foundation Kim Bohr spoke on the subject of intentional networking for strategic advancement in the Women Lead Webinar Series.